Although my heart is still heavy after Monday's terrorist attack, I am drawing some hope and inspiration from the overall response from the American people and how it is different from the uber- patriotic, angry and aggressive tone after 9/11. With the exception of a handful of haters hurling anti-Muslim epithets, most are focusing on helping and honoring the victims, building community, caring for one another and helping each other to be strong and resilient. The emphasis is on healing, peace and love. 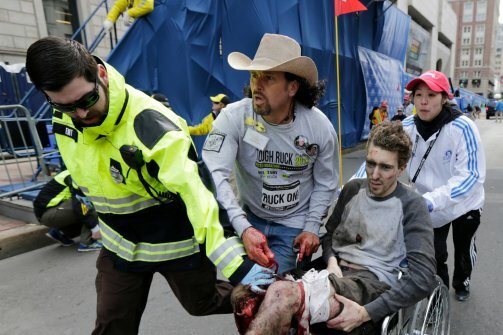 The face of caring in this tragedy is Alexander Brian (aka Carlos) Arredondo, dubbed the Boston Cowboy. He was one of the first to leap over barricades to get to the injured and apply tourniquets from his own clothing to save lives. Interestingly, I had written about Mr Arrendondo in 2004 because his story at that time was so dramatic and so moving. On his 44th birthday, he saw a van of Marines pulling up to his house and thought it was a birthday surprise and that he'd soon be reunited with his son. When, instead, Carlos heard that Alexander had been killed in action in Iraq, he fell apart. He poured gasoline on himself and lit it. He suffered burns on over a quarter of his body and had to attend Alexander's funeral on a stretcher. 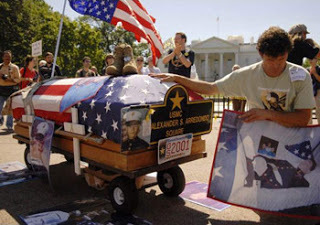 After 10 months of recuperation, Carlos found a channel for his overwhelming grief- he began going around the country with a portable memorial to his son including a coffin covered with Alex's photos. He became a well known and respected peace activist taking the memorial to over 30 states. At an anti-war demonstration in DC he was attacked and beaten by counter-protestors, Gathering of the Eagles, but that did not stop him from raging against war and the terrible toll it takes on the troops and their families. It is hard to believe, but the tragedy did not end with Alexander's death. On the day the Iraq War ended, Alexander's younger brother Brian,who never got over his brother's death, killed himself. Today, Carlos says he and his wife are "broken people". He dedicates his life to honoring the memories of both of his sons. He did them proud on Monday. I hear this story and think about the shattered lives of the mothers, fathers, widows, widowers, the children and all who loved the 6,560 US troops killed in Iraq and Afghanistan. I think about the tens of thousands of veterans who suffer from PTSD, traumatic brain injury, missing limbs, and other grievous wounds and how it may affect them and their loved ones for the rest of their lives. I think of the fact that 22 veterans commit suicide everyday and am filled with sadness for all the grieving families who will never be the same. The suffering of war is long, deep and often invincible to most Americans. After 9/11, we invaded Afghanistan and in a short time killed more civilians than died on 9/11. We also lost our moral compass and engaged in torture (on Tuesday, a report by a nonpartisan think tank said it was "indisputable" that the US tortured following 9/11 and that the highest US officials were responsible). As a member of New Paltz Women in Black, we began standing in a weekly peace vigil in November of 2001, calling for justice for the 9/11 attacks, not revenge. We have continued standing for peace every Saturday since then. Many now see that a violent reaction to violence only breeds more violence. In Iraq, a country utterly devastated by our immoral and illegal war of choice, 60 were killed and close to 300 wounded in 30 separate bomb attacks on the same day as the Marathon bombing. Forty-five percent of Americans now say neither war was worth the terrible price paid in blood and treasure ($2 trillion and expected to rise to $4 to $6 trillion). I hope we will have the courage this time to see where US policies result in unacceptable, civilian violence that alienates and radicalizes people in other parts of the world. Over 4,000 people (including over 160 children) have been killed by our drones; pilotless, flying, killing machines. It is estimated that only 2% of those killed were high value Al Qaeda leaders. Many children in Pakistan have stopped going to school for fear of being attacked. How would we feel if China was going after high value terrorists in this country and killed our children as they walked to school? Honest exploration of what is being done in our name does not mean, in any way, that the people who were killed or wounded in Boston deserved what happened to them. Of course not. But, if we want a safer world, we have to draw on our greater wisdom, empathy and compassion and see the bigger picture. We need to open our eyes, get engaged and do all we can to ensure that our actions in the world bring no harm to innocents and that we hold our nation to the highest moral standards. This strengthens who we are, how we are perceived in the world and is where our true security resides. 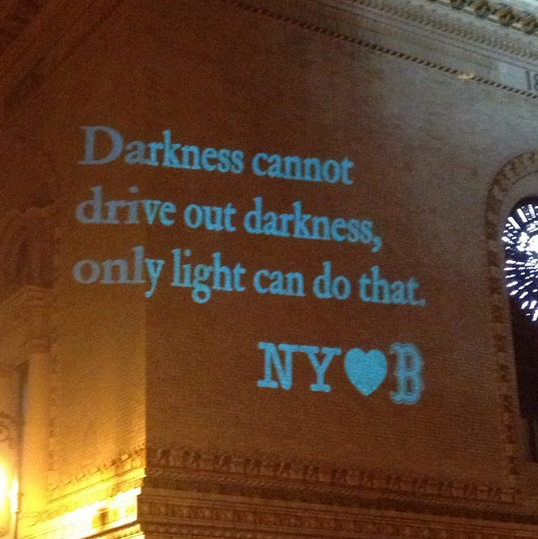 My heart goes out to all who lost their lives, or were injured, or traumatized by the terrible attack in Boston and to their families. May the investigation uncover all those responsible and bring them to justice. May we all remember what it is that drives out hate. 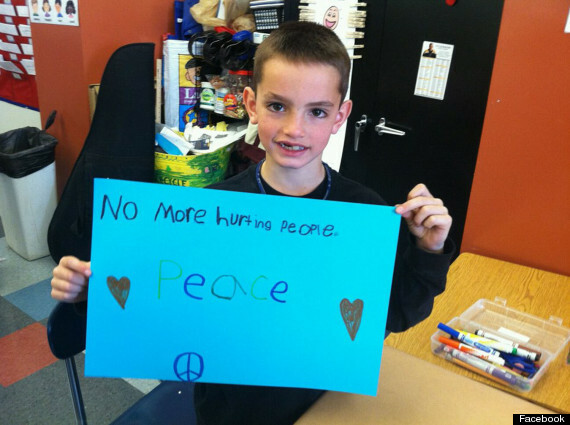 Martin Richard the 8 year old killed in the Boston attack. May we honor his memory by heeding his words. 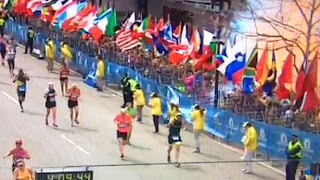 Update- Now that one suspect is dead and the other captured we find that Dzhokhar Tsarnaev "the 19-year-old suspect in the Boston Marathon bombings has told interrogators that the American wars in Iraq and Afghanistan motivated him and his brother to carry out the attack." Hundreds of thousands of people died in those wars and millions were displaced and injured. 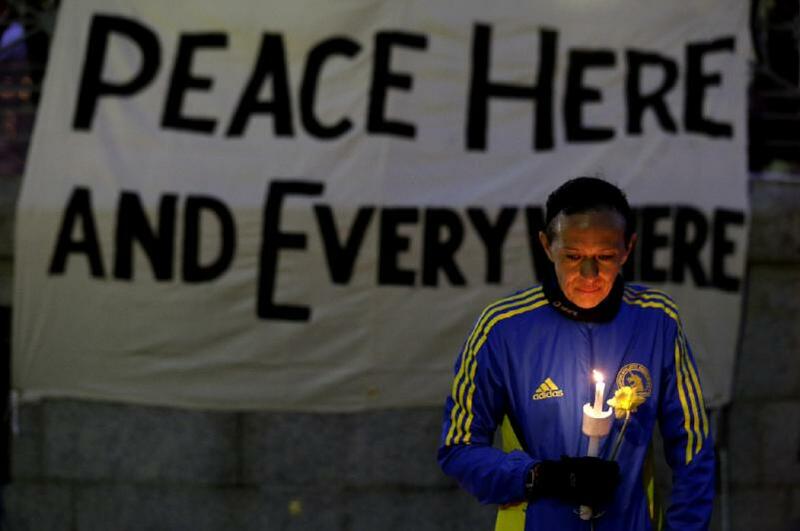 The Boston Marathon attack happened days after an airstrike in Afghanistan killed 17 civilians, 12 of them children. It appears that the attack was carried out by a paramilitary group run by the CIA. The CIA agent who ran that group was also killed and 3 other CIA personnel were wounded. On Feb 16, a coalition airstrike killed 10 civilians, 5 of them children in the same province. A former FBI Special Agent had this to say last month. 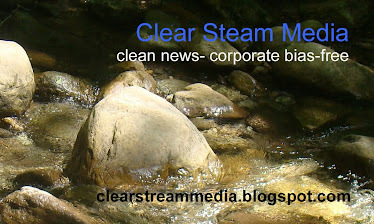 "Iraq and other post-9 / 11 wars and war-crime abuses have only increased hatred of the United States, spawned new anti-American terrorist groups and served as a recruiting tool for existing ones. Recent polls show that more than 75 percent of Pakistanis view the United States as their enemy. Analysts estimate that during three years of drone bombing in Yemen, the Al-Qaida-inspired group there has grown from about 200 to more than 1,000." Endless militarism kills innocents and imperils all of us. Very well put, Barbara. May lots of people share this post! Thank you Monika and appreciate your sharing on FB. We so need more folks speaking out and holding a vision for a more just and loving world.